Since yesterday, the price broke out above the upper trend line and is still pretty much above the same trend line. We’re waiting for a clear sign that the price will sustain the break above this trend line, however, should the price break again below, then we’ll expect a momentum to the lower side. The anticipated bearish price rally is the continuation of the impulsive wave (v) to the lower side and should not break below 498.59. 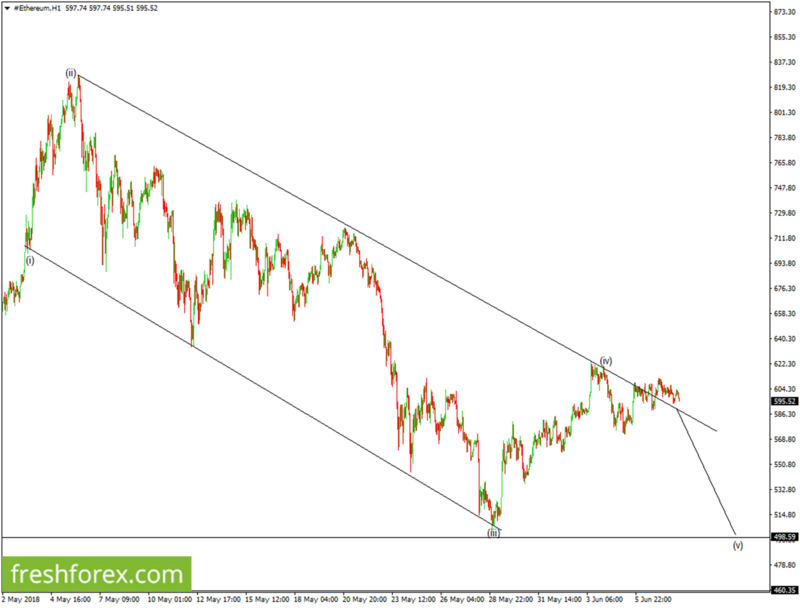 If this target is broken, then the price will continue to the lower side and should go beyond 460.35.